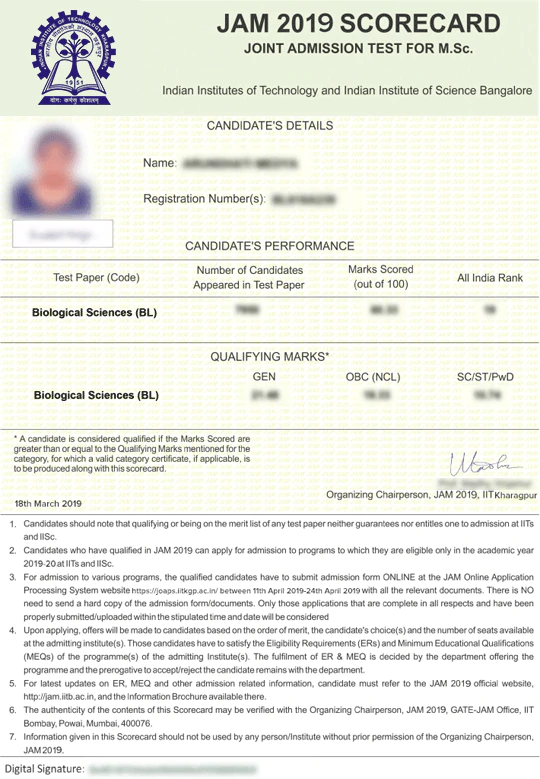 IIT JAM Score Card 2019 – Indian Institute of technology, Kharagpur has released IIT JAM 2019 Score Card on April 2, 2019. Candidates can download the scorecard till July 31, 2019. 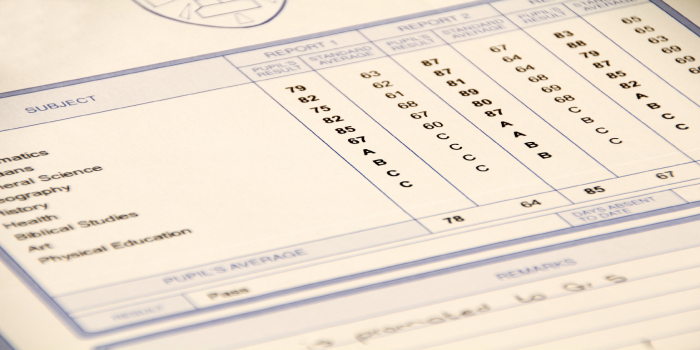 The Score Card of JAM 2019 mentions the qualifying marks scored by the candidate in JAM 2019 along with the AIR. The submission of an application for JAM 2019 admission will start from April 12 to April 25, 2019. Candidates are advised to keep a copy of the Score Card of JAM 2019 is hand until the admission process of JAM 2019 is completed. Also, the IIT JAM Score Card 2019 will not be sent to candidates as a hard copy. The Score Card of JAM 2019 will be available online only. Candidates must also note that the JAM 2019 Score Card is to be submitted along with the other documents for the document verification procedure. The IIT JAM Score Card 2019 will be available for download only for a certain period of time, candidates must make sure to download the Score Card as and when it is released by the conducting board. The Score Card of JAM 2019 is available only for those candidates who qualify the Joint Admission Test conducted in February 10, 2019. Candidates can check here the procedure to download IIT JAM 2019 Score Card. Candidates can check the steps to download the IIT JAM 2019 Score Card given below. Download the Score Card of JAM 2019 for further reference. JAM, also known as Joint Admission Test for the M.Sc Programmes, is an entrance examination conducted annually by the different IIT’s and IISc, Bangalore for the admission to the postgraduate science programmes offered. 16 IIT’s including IISc. Bangalore participate in this examination. The scores of JAM is also accepted at National Institutes of Technology (NITs) and Centrally Funded Technical Institutes (CFTIs) through common counselling portal of IIT JAM 2019, also called CCMN 2019. JAM is conducted for a total of 1800 seats in the participating Institutes.